If the Marie Kondo fad is any indication, I’m not the only one who is looking to become a little more minimal. 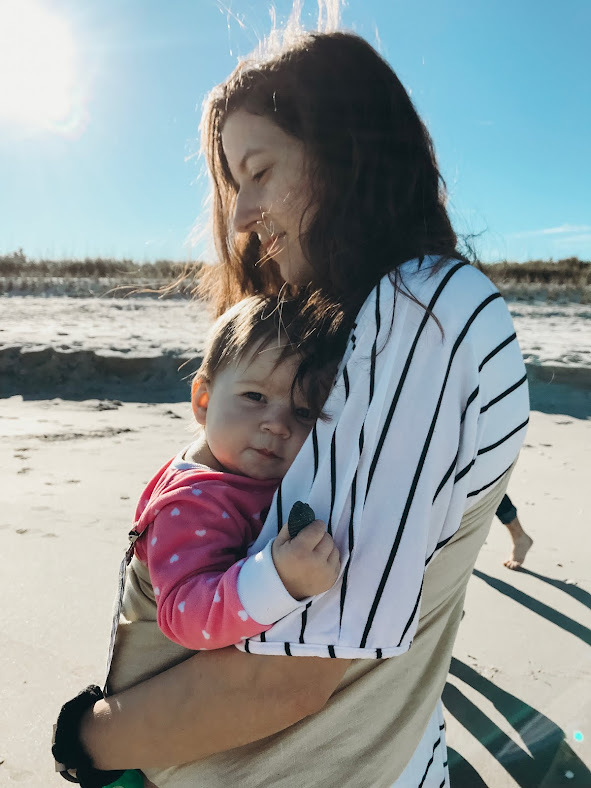 I read Marie Kondo’s book last year just after I had Everly. I felt like I’d been surrounded by clutter the whole time we’d lived in our 500 square feet, one bedroom apartment and admittedly most of the clutter was mine. I’ve been dragging around boxes filled with notebooks for years and odds and ends of things that I couldn’t let go of. Having Everly made me want to start everything fresh. I wanted to be the kind of person that could pack everything I owned into a few boxes and move somewhere brand new or stick them into storage while I went off traveling if I wanted to (an idea that has been rolling around in my brain since I read a book in high school about a lawyer who did just that). I wanted to stop being the kind of person that was so attached to my things. 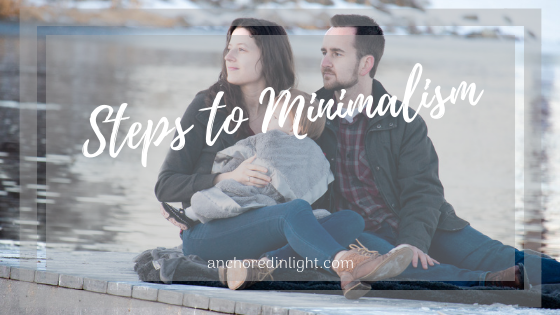 So here are my personal steps that I have taken, and plan to take, to get myself closer to minimalism. Capsule Wardrobes. I’ve been working on curating clothes that I love, that I can mix and match, and that aren’t so many pieces that I don’t use all of them. Weirdly, my mental obsession with capsule wardrobes came from my daughter’s wardrobe packaged into 3-month increments. Also weirdly, putting together outfits for her with colored pants has given me the confidence to try out something other than blue jeans. Watching these videos from Hailey Devine (this links to her Fall Capsule wardrobe video, but I'm sure it will automatically start playing the other ones after you're done) last year really made me want to take steps to make it happen for myself. However, I don't have an unlimited budget so it's been slow going for me. Quarterly Konmari of all my possessions. Even though I went through everything that I owned before we moved last July, I’ve already gotten rid of so many more things since moving here. I find that there are things that I may not be ready to get rid of now, but I am ready to get rid of in a couple of months. Digitizing all my papers. Papers are my real kryptonite. As a writer and a hand letterer, I just tend to have a million notebooks (also, I’m guilty of buying notebooks just because they are pretty when I have a dozen half-finished notebooks at home…). I find myself irrationally believing that I will re-read them someday, even when I know that I’ve never done that before. Only 5-7 “to do”s for the day. I know this may not sound like minimalism, but for me it is. I feel like when I expect myself to do less in the day it allows me to focus on accomplishing the things that really matter and be present in the rest of my day that has nothing to do with my to-do list. If you are looking to get closer to minimalism, I highly recommend reading Marie Kondo’s book The Life-Changing Magic of Tidying Up. It really has changed my life.